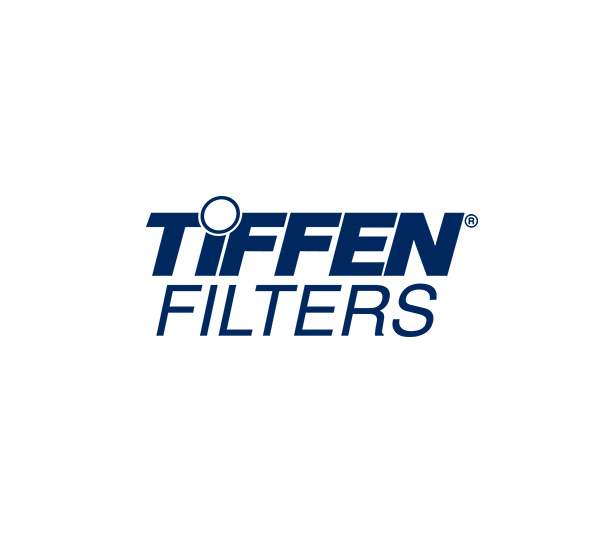 Pairing infrared attenuation and neutral density with a warming 85 filter, the 6.6 x 6.6″ IRND 0.9 Filter from Tiffen is an all-in one solution to reduce exposure values and achieving neutral color. Pairing infrared attenuation and neutral density with a warming 85 filter, the 6.6 x 6.6″ IR 85ND 1.2 Filter from Tiffen is an all-in one solution to reduce exposure values and achieving neutral color. The neutral density portion of the filter offers a 1 stop exposure reduction for working with longer shutter speeds or wider aperture settings. The IR portion attenuates infrared wavelengths to benefit working with CCD and CMOS sensors under difficult lighting conditions where infrared pollution can affect color balance. Finally, the addition of 85 warming filtration balances daylight to 3400K, tungsten-balance to easier match varying color temperatures during a shoot. 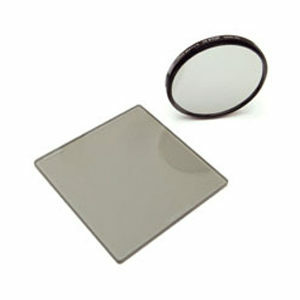 The filter is constructed from water white optical glass for maintained clarity and measures 6.6 x 6.6″ / 167.6 x 167.6mm to pair well with lightweight or clip-on matte boxes. 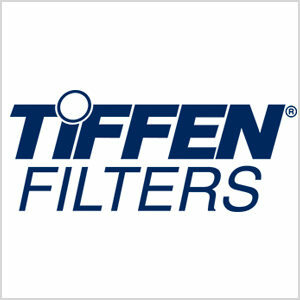 – Alleviating the need to use multiple filters at once, this filter combines three distinct effects to reduce the number of filter surfaces in use. – IRND 1.2 filter offers a 4 stop exposure reduction to permit working with longer shutter speeds or wider aperture settings than normally required. – Infrared attenuating design eliminates IR bleed above 700nm, is proportionate to the neutral density value, and helps to ensure clean, accurate colors and true blacks. – Warming 85 filter decreases the color temperature and converts daylight balance to 3400K tungsten balance. – Constructed from ColorCore technology water white optical glass for maintained image quality. 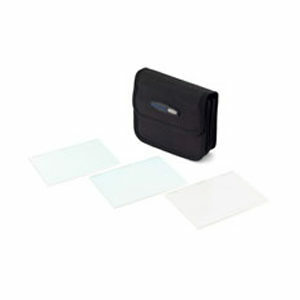 – Measures 6.6 x 6.6″ / 167.6 x 167.6mm and is ideally suited for use with lightweight clip-on matte boxes. This is a True-Match Vari-ND Upgrade Kit for the Schneider Landscape Control Kit (68-885603). This allows you to create a variable ND filter with your Landscape Control Kit. 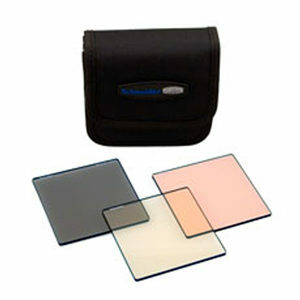 The Tiffen 6.6 x 6.6″ ND 0.9 Filter is a solid neutral density filter providing a 2 stop exposure reduction.